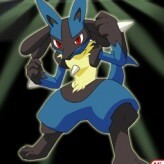 The third entry of the main series of Pokemon! Explore the Hoenn region along with Team Magma! 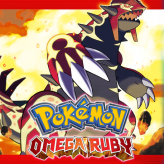 Capture 150 new Pokemons and join Double Battles in Pokemon Ruby! Battle against the legendary magma pokemon Groudon and try to capture it with a master ball! Pokemon Ruby is Gamefreak’s third entry to the Pokemon series game. 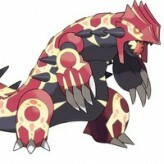 In Pokemon Ruby, the player will take the perspective of team Magma and will try to subdue Groudon. 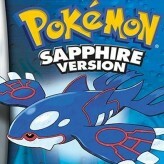 The sister version of Pokemon Ruby is Pokemon Sapphire, in which the protagonist will participate in Team Aqua. Pokemon Ruby features 150 new Pokemons from the last version, and introduces a new system called Double Battle in which two pokemons can be summoned at the same time on each side. The Day/Night cycle was removed from this version but it showcases many other features to make up for it such as Secret bases and Pokemon Contests. There have been 258,061 plays and 2103 likes from 2410 votes (88%) since 29/12/2015. 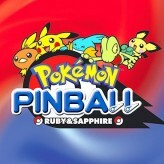 You are currently playing Pokemon Ruby game for free on Arcade Spot. It is a single game out of a variety of games that you can play on Arcade Spot. 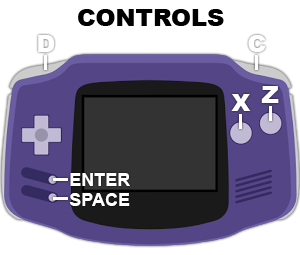 Play more games like Pokemon Ruby in the Action, Adventure, Challenge, Emulator, Fighting, GBA, Pokemon, Retro, RPG, Simulation, and Strategy gaming categories. This game has a rating of 88 out of 100 based on 2410 user ratings. If you enjoyed playing the game, give it a thumbs up. Free Online Games and Arcade Games are added every day. Arcade Spot will bring you the best games without downloading and a fun online gaming experience on the internet.